Duplicate up to 10 CD/DVDs at a time. Allows storage of disc images. Duplicate up to 10 CD/DVDs at a time with 24X DVD and 48X CD burn speed. 500 GB hard drive allows storage of multiple disc images. Supports all DVD formats, including DVD Video, DVD-ROM, DVD+R, DVD-R, DVD-RW, and DVD-DL. 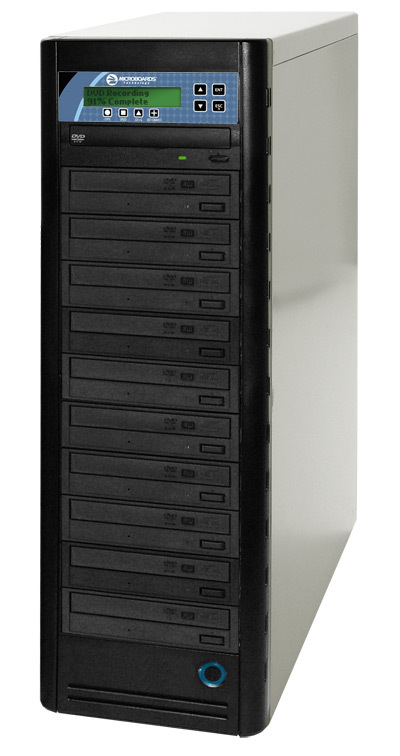 Also available as a Rackmount DVD Duplicator, and Blu-ray Duplicator. PC-only, not supported on "N T" models.